When guests arrive, offer them the all-night comfort of a Coleman SupportRest Elite Quilted Top Double High Airbed. A removable, washable, quilted top makes it feel more like a traditional bed. 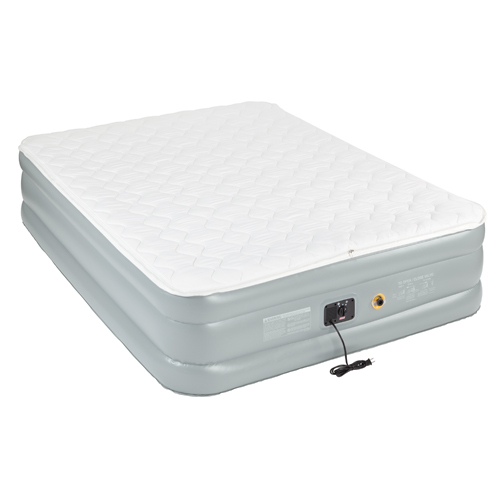 It comes with the convenience of a built-in 120V pump, so you'll always be ready to inflate your bed. Once you find the perfect firmness, the AirTight system will help keep it there, since it's factory-tested to be leak-free. With the ComfortStrong coil system and Support Lock reinforced construction working together to provide lasting support, your guests might never want to leave. - Approximate Inflated Dimensions: 78" x 60" x 19"